Leading religious scholars, who belong to and work with/for marginalized communities, collaborated together on producing an edited volume, Ethics: A Liberative Approach. Miguel A. De La Torre, the editor of this book, states the purpose of this book: exposing readers to (various kinds of) liberative ethics from the perspective of marginalized/disfranchised communities (6). In this book, liberative ethics is distinguished from liberationist ethics: although they still share their emphasis on “the preferential option for the oppressed,” “the focus of liberative ethics moves away from orthodoxy, correct doctrine, toward orthopraxis, the correct actions required to bring about liberation” (3). Given this emphasis on orthopraxy, liberative ethics follows a methodology of a see-judge-act-reflect paradigm: the marginalized communities “see the oppression that is occurring,” “judge the causes of oppression,” “commit themselves to act,” and reflect on their liberative actions—theory is constructed as a result of the reflection on praxis (5). Chapters of this book are divided into three large contexts—the global context, the US racial and ethnic context, and the US gender, sexual identity, and disability context. 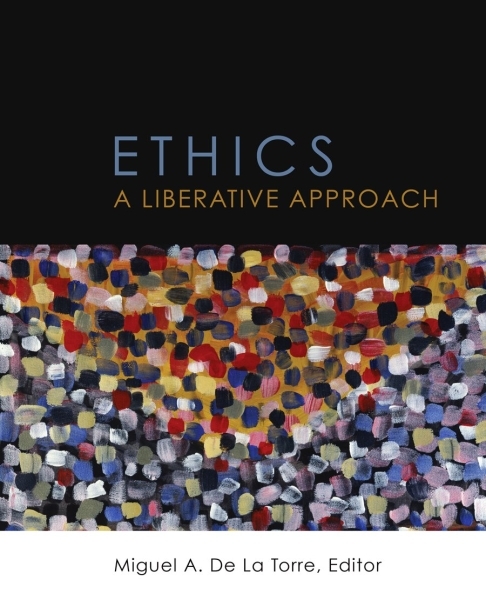 Each chapter commonly presents some key issues/needs for liberation and a comprehensive literature review on liberative ethics in a particular context. Here, in this book review, I will primarily focus on two chapters, “Asian Liberative Ethics” in the global context and “Asian American Liberative Ethics” in the US racial and ethnic context. In the chapter of Asian Liberative Ethics, Keun-Joo Christine Pae acknowledges an impossibility of generalizing Asian liberative ethics given political, social, cultural, and religious diversities in Asia, so she explores “Asian liberative ethics revolving around the Christian theology of liberation” (47). She suggests some common issues and needs for liberative ethics in Asia: (1) systemic poverty, (2) authoritarian political system, (3) war, armed conflict, and militarism, (4) oppressive religious ideologies, (5) exploitation of women under patriarchal oppression, (6) ecological destruction, and (7) racism and transnational migration (the issue of migrant workers) (49-54). She then explores how Asian liberation theo-ethicists critically analyze and ethically respond to the issues through their liberative theologies. For this part, she presents a brief but comprehensive introduction to four theo-ethical trends in the Asian context: “Korean Minjung theology, Indian Dalit theology, Asian feminist theology, and interfaith/enculturated approaches to liberation” (54). Finally, she concludes this chapter by suggesting some possible future trends in Asian liberative ethics. This suggestion deals with the issues of critical examination of the terminology liberation theology, practicality of Asian liberation theologies, interfaith approaches (Asian ways of syncretism), deeper analysis and practice for peace, and globalization/transnationalism (63-64). While Pae’s chapter addresses the broader context of Asia, Sharon M. Tan’s chapter focuses on the US racial and ethnic context which Americans of Asian origin daily face in North America. Tan begins this chapter with a historical overview of Asian Americans’ lives marked by “exclusion, discrimination, and the struggle to make a living”: she takes representational examples, including the Chinese Exclusion Act of 1882, the internment of Japanese Americans during World War II, the lynching of a Chinese American Vincent Chin in 1982, and the Los Angeles Riots in 1992 (128-131). Based on this historical overview, she names marginalization as “the primary social experience of oppression for Asian Americans” (131). She presents several forms of marginalization: designation as “middleman minority” and “model minorities,” racial discrimination given the racialization as “Asian American,” and American imperialism (blind Americanization/forceful cultural assimilation) (133-135). Then, a brief but comprehensive introduction to Asian American liberative theology/ethics is followed. For liberation from marginalization, racism, and American imperialism, Tan introduces Sang Hyun Lee’s theology of liminality—“marginality that is open to creative possibilities”—Anselm Min’s theology of “solidarity of others,” and “story theology” (known as “autobiographical theology”) respectively (136-140). Tan concludes her chapter by critically analyzing Asian Americans’ social position—partially privileged and partially oppressed—and proposing the remaining task of Asian American liberative ethics: “to use partial privilege to ameliorate the oppression of others” (141). The two chapters, which I reviewed above, present a careful social analysis of particular social, political, and economic situations in the Asian and Asian American contexts. Both Pae and Tan adequately acknowledge what De La Torre calls the issue of “multiple marginalities” (2). Not falling on a problematic dichotomy between “them” (the dominant culture) and “us” (the marginalized), they provide a sophisticated analysis of multi-layered marginalities within Asian/Asian American communities. Pae points out the issue of economic disparity and racial discrimination among Asian countries. For example, dark-skinned workers from relatively poor countries in Southeast Asia migrate to South Korea or Japan for making a living for their families, but suffer from severe racism, often coupled with poor working conditions and low wages, and institutional oppression such as anti-immigration law or denial of legal protection from violence (53). Tan also points out the ambiguous social position of Asian Americans. She argues that not all but certain groups of Asian Americans enjoy their economic power and privilege, but still they are under the diverse types of marginalization. This careful analysis of multiple marginalities adequately calls for moral responsibilities of certain Asian/Asian American communities to utilize their partial power and privilege to transform the unjust social structures in which they are explicitly and/or implicitly complicit. In addition to the sophisticated social analysis, the two chapters offer a great resource for exposing readers to various kinds of Asian/Asian American liberative theology and ethics. Both Pae and Tan succinctly explore how Asian/Asian American theo-ethicists respond to particular issues of the marginalized communities in Asia and North America through their liberative theology and ethics. Also, both authors present concrete case studies and glossaries of key terms, which provides readers with helpful background materials. Given these strengths, I believe that these two chapters can serve as a great reading material for an introductory course on Asian/Asian American theology and ethics. However, what is missing in the two chapters would be a careful account of how liberative theology/ethics is formed as a “reflection on praxis” (5). Although both authors offer some concrete examples of liberative practices of the marginalized communities (i.e. the Chipko Movement known as Tree Hugging Activism in India), they do not present how those practices would be utilized for the construction of liberative theology/ethics. Since in the two chapters Pae and Tan mainly present a literature review on the already-developed Asian/Asian American liberative theology/ethics, this missing part might be attributed to the lack of attention to praxis in the current liberative theology/ethics. Hence, if a theo-ethicist desires to construct the praxis-oriented liberative ethics as defined in the introduction, she/he needs to carefully analyze how to utilize a liberative practice of the marginalized communities as a source for doing liberative ethics. For this theological work, I suggest an ethnographic fieldwork on the praxis of the marginalized on the ground—listening to their stories, participating in their daily struggles, and experiencing the real power of their practices—which would strengthen the methodology of doing liberative ethics.